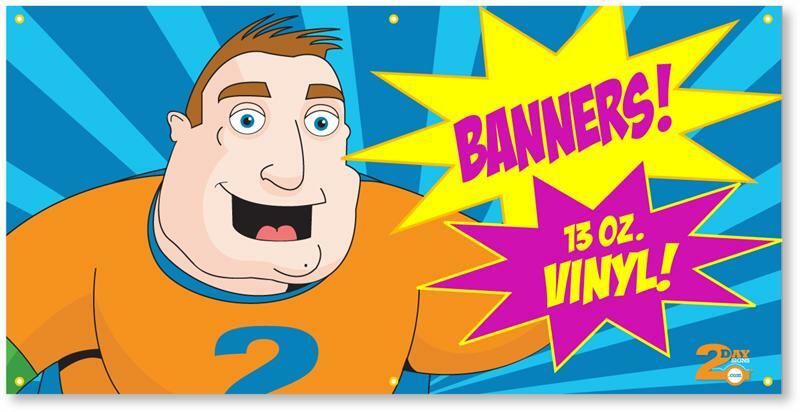 Custom Viny Banners are digitally printed. 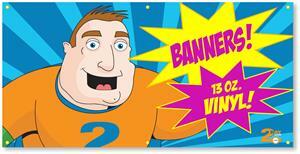 These banners will allow you away to promote your business, campaign, or event. Banners are easily hung with grommets (placed every 2-3 feet). Custom banners are very affordable will make your message stand out. Full color custom vinyl banners are printed on strong vinyl material and they are weather-proof, very durable and easy to display. This light weight weather-proof vinyl material is very strong and can easily be mounted with the grommets. Banners will be 4 foot by 8 feet. Banners ship for Free!